It's been a very long time since a new rock act with the crossover potential of Highly Suspect emerged. 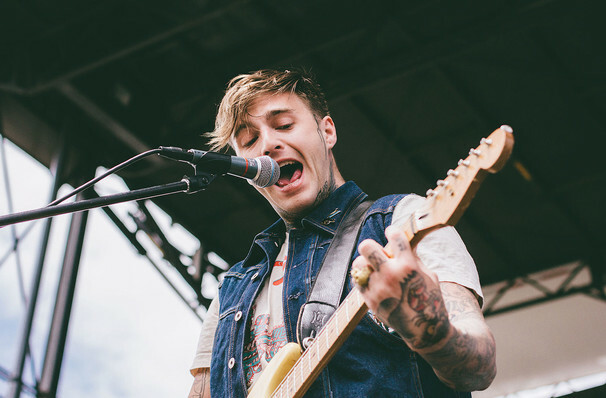 Formed in 2000 in their hometown of Cape Cod, Massachusetts, hard-rocking power trio Highly Suspect started out as a cover band, before relocating to Brooklyn to record their first EP of original material The Worst Humans. Subsequent full-length albums Mister Asylum and The Boy Who Died Wolf both garnered Grammy Award nominations for best song, marking the fledgeling artists as a an up-and-coming force to be reckoned with. The band, consisting of twin brothers Rich and Ryan Meyer, Johnny Stevens, are hitting the road this Summer with a rumoured new album on the horizon. Following triumphant performances at Coachella 2018, they return to stage on fine form, evoking the fuzz-laden spirit of the grunge era with riff-heavy, driving anthems filled with dark lyrical content and rock and roll angst. Sound good to you? 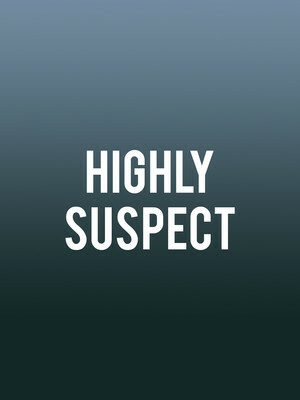 Share this page on social media and let your friends know about Highly Suspect at House of Blues. Please note: The term House of Blues and/or Highly Suspect as well as all associated graphics, logos, and/or other trademarks, tradenames or copyrights are the property of the House of Blues and/or Highly Suspect and are used herein for factual descriptive purposes only. We are in no way associated with or authorized by the House of Blues and/or Highly Suspect and neither that entity nor any of its affiliates have licensed or endorsed us to sell tickets, goods and or services in conjunction with their events.